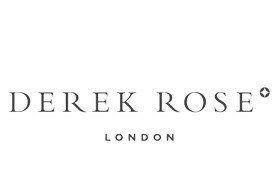 Derek Rose is a luxury brand specialised in underwear, nightwear and loungewear of refined quality. It is a big name worldwide in luxury nightwear and is sold in more than 50 countries in most of the leading boutiques and stores. The family business was founded in 1926 by Lou Rose. Lou Rose' passion was to create a brand that was unbeatable due to the unprecedented luxury. To achieve this, he used the finest silk and cotton varieties. His drive and passion have brought the brand far. In 1950, his son Derek Rose stepped into the company. The brand was re-launched under the brand name Derek Rose and was on the rise with a growing number of fans. This was rewarded in 1987 when Derek received the Queen's Award for Export Achievement. In 1990, Nancy Rose, the daughter of Derek, stepped into the company. As design director, she creates unique designs that are very exclusive. Every season, a new collection of these fabrics is launched, nightwear and loungewear with designs that you will not find anywhere else. The three main things for which is attached great importance to the brand are quality, design and customer service. This has been pursued three generations and this has resulted in many loyal and satisfied customers. The strength of the company lies in the choice of material and the unique designs. Only the highest quality cotton and silk are used to produce elegant and timeless underwear and loungewear. The design fabrics are designed in-house and are therefore unique and exclusively in use by Derek Rose. In addition, the patterns of the various items of clothing are also made at in-house. The passion for quality and timeless design can be seen in the collection. We assure you that Derek Rose underwear is a great addition to your wardrobe. The men's underwear is of an unprecedented quality that feels as a second skin. Only the very best cotton is used. 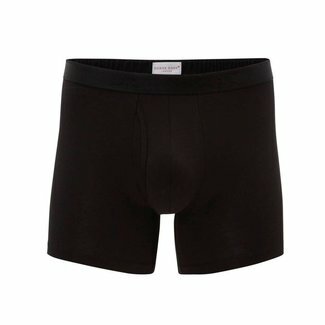 At Quality Shop, you can buy boxer shorts and undershirts of this unique brand. The Derek Rose boxer shorts are made of Pima cotton, a strong but also very soft cotton with a refined shine. 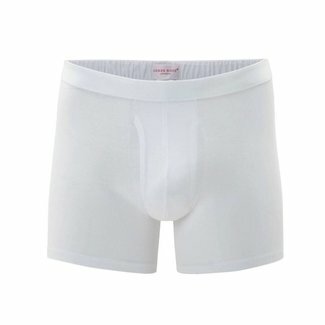 Another unique feature is, that the elastic band on the inside of the boxers is also covered with cotton, this increases the wearing comfort. Undershirts by Derek Rose with a fitted fit are highly recommended. These are also made from the great Pima cotton. The finish of the T-shirts is sublime. By using the finest yarn, the seams are super thin, almost invisible. This makes the shirt perfect for wearing under a shirt or sweater. Do you still doubt if Derek Rose is a brand for you? Then we advise you to give it a try. The fabrics and the finish really make the difference. Are you looking for a specific product of the brand and can you not find this online in our webshop? Please contact us, perhaps we can order the item especially for you. Buy Derek Rose here online!